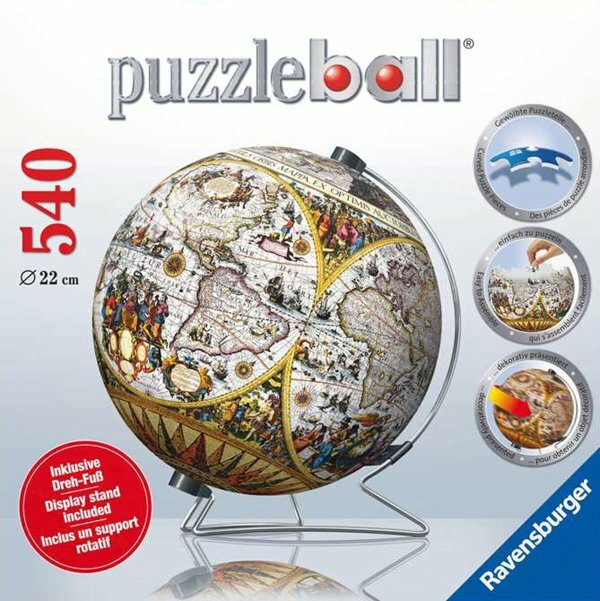 A great 3D puzzle from Ravensburger, this globe of the ancient earth makes for a great teaching tool. Perfectly crafted, curved puzzle pieces allow for an exact fit and are easily assembled together to form a solid, smooth ball - with no glue required! Includes display stand and instructions. Each piece also has a small number located on the non-image side which can be used as an assembly guide depending upon the skill level of the builder.